Ultimate guide to hashtags. 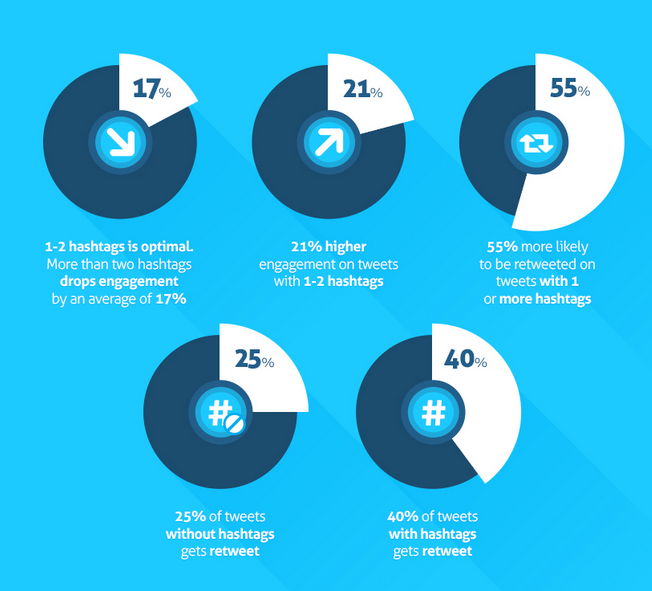 How effective are hashtags on social media? According to QuickSprout, you have 55% higher chance to earn a retweet if you use 1 hashtag or more. 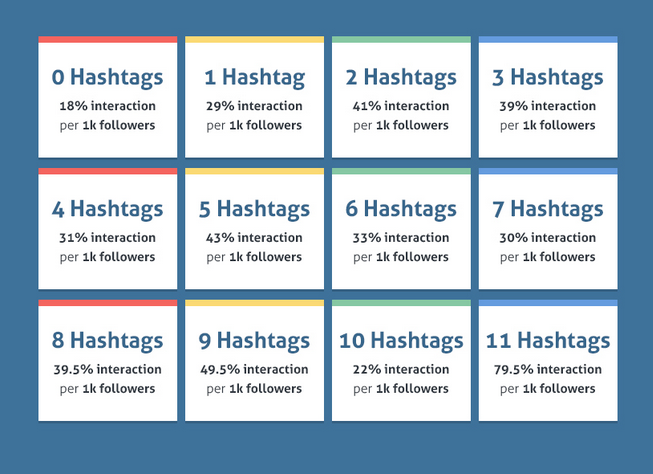 How effective are hashtags on social media? - Tweets with hashtags have 2 times more chance to generate engagement and you have 55% higher chance to earn a retweet if you use 1 hashtag or more. - it is estimated that only 25% of tweets without hashtags gets retweeted, so for better post engagement on Twitter, you should use only 1-2 hashtags. More than 2 hashtags drops engagement with 17%. On Instagrma, there is no limit when it comes to the number of hashtags. 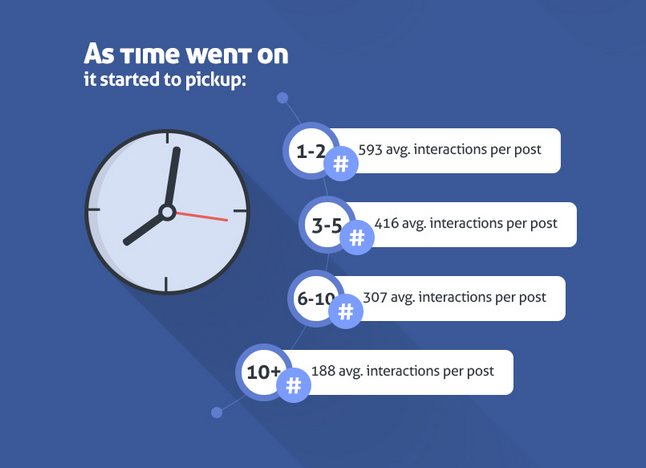 Interactions are higher on Instagram posts with 11 hashtags or more. On Facebook, hashtags are not so effective, but if you are using them frequently, you might notice that posts with hashtags generate 0.8% median viral reach per fan. On Google+, hashtags are very effective, especially because they are now automatically build right into Google searches. Google related hashtags offer smart marketers a brainstorming opportunity to discover new content ideas and use them in a greta way for their brands. Using many hashtags just because they are "cool' is a mistake. Hashtags are effective in terms of categorizing content on social media, in order to make it more visible and drive higher post engagement. 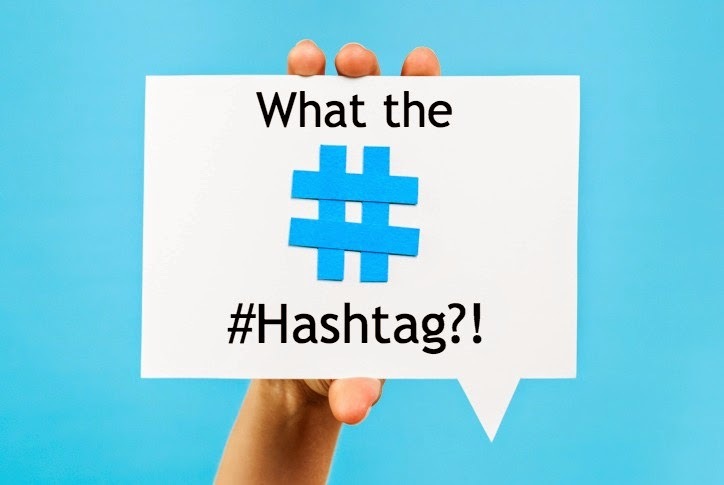 If you're using them right, hashtags will increase your online presence. - get information - about your audience, by following their conversations. How to build an effective hashtag? - Make it short and concise - don't use long hashtags, because they are hard to read. - Make it unique for your brand. - Sort hashtags in real time - in order to be part of the most engaging topics. You might going to love this tool, called HashAtIt :-). This is a very easy way to find and sort out hashtags, bringing all findings to one place and in real time. Use this tool and search for your brand hashtags and find out what people are saying about you. Another thing is that you can use the tool to search for hashtags on Facebook, Twitter, Instagram and Piterest simultaneously.